Does Insurance Help Cover the Cost of Dental Implants? Dental implants are amazing! They provide comprehensive tooth replacement and help patients to enjoy beautiful smiles, a strong bite force, and improved oral health. Many dentists are great advocates of this treatment and encourage all of their patients who have suffered tooth loss to give it serious consideration. However, one of the things that might hold some back from getting this procedure is the cost of dental implants. Admittedly, they are on the expensive side. Let’s talk about whether your dental insurance will be willing to help you afford your restored smile. In the past, it was extraordinarily rare to find a dental insurance company that was willing to cover dental implants. They often encouraged their policyholders to opt for other tooth replacement methods, such as bridges or traditional dentures. In recent years, however, that mindset has changed. As insurance companies come to recognize the long-term benefits of dental implants — such as their power to preserve the jawbone and their potential to last for many years — they are adjusting their policies to provide coverage for this life-changing treatment. 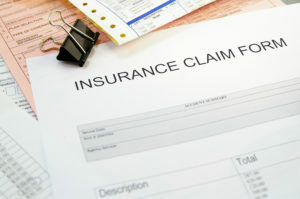 Does your insurance policy cover implants? You may have to take a close look at the details of your coverage or give your insurance company a call to find out. Dental insurance policies come with a yearly maximum, which is the highest amount that the benefits provider will pay out for treatment within a calendar year. Most often, the yearly maximum is somewhere between $1,000 and $1,500. Regardless of who your insurance provider is, the friendly experts in our office will be happy to help you figure out the specifics of how your policy will assist you with your implant procedure. If your dental insurance does not cover implants, or if you think your out of pocket costs will still be too high despite your insurance’s help, you may still have a few options for affording your treatment. For example, medical insurance might cover a portion of the cost of the implant placement surgery or a bone graft if necessary. Financing may also be available to break the cost of your procedure into manageable monthly chunks. Dental implants are not cheap, but they are worth the cost! Plus, with the help of insurance and financing, you might discover that a new smile is more affordable than you thought. Dr. Hodong Kwon, a member of the American Academy of Implant Dentistry, loves to help his patients regain their smiles through dental implants. If you would like to learn more about this tooth replacement option and ways to reduce the cost of your treatment, contact our office at 214-350-8608. Comments Off on Does Insurance Help Cover the Cost of Dental Implants?